There are many things that motivate us to keep going, including great running gear! We're constantly on the lookout for the best new products. Our goal is to keep our selection fresh and continue to offer the best of what's available. Check out a few of the things we love right now! When they were designing this runner's flashlight, the folks at Nathan seem to have thought of everything. The Zephyr Fire features high beam, low beam, and strobe modes. Its rear-facing red LED gives you visibility from the back, which is great out on dark roads. It comes equipped with a comfy and adjustable hand strap that allows for a totally grip-free carry in either hand. It even has an emergency siren. Plus, it's easily rechargeable; just plug it into a USB port. In theory running is a simple sport. You just lace up your shoes and go! But when whether you're just starting out or ramping up for a big race, it's important to develop an injury-prevention routine. Things like strength-training, cross-training, and post-run icing can work wonders. But one of our keys to running success is our (frequent and enthusiastic) use of massage tools! The Addaday Type C roller and Trigger Point GRID STK (pictured) are two of our favorites. Light rolling before a workout can help warm up your muscles. A deeper massage afterward can help break up adhesions and improve recovery. Ask in the store for a product demonstration any time. When selecting appropriate running apparel, it's important to consider fabric (opt for synthetic or wool fibers that wick moisture, versus cotton), fit (good apparel will move with you, not restrict), and warmth (layer up, y'all!). But you've also got to look good. We recently brought in some new technical apparel from Nike in great colors and patterns. Come check it out! One of the most exciting things about working in the fitness industry over the last several years has been seeing the impact that fitness bands have made on health and movement. Software developers talk about gamification and how to design products to incentivize certain behaviors, but we've talked to so many people for whom simply seeing a number on their wrist does the trick. 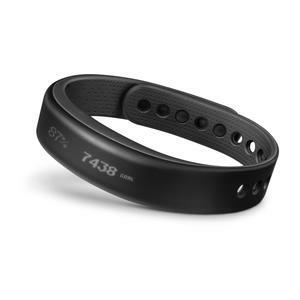 Garmin's vivosmart tracks daily movement and offers easy online analysis, but also features phone, text, and email notifications on its touch-and-swipe screen. Keep an eye out for more great products from industry-leader Garmin later this year. One of the hottest shoes of 2014 continues to impress. Pairing Saucony's latest midsole innovation, PWRGRID+, with it's sock-like ISOFIT upper, the Triumph packs an impressively plush feel into a fast, lightweight package. Lightweight cushion is a category that we see expanding across all brands. We're excited for the February launch of Adidas's new Ultraboost, as well as the update of New Balance's Fresh Foam.